The second-place finisher in the June 3 primary race for the Iowa GOP’s U.S. Senate nomination is stepping forward to seek the Republican Party’s nomination for the job of state treasurer. Sam Clovis says it all began a few days ago when a supporter posted a comment online, suggesting Clovis would be a good candidate for the job. “It essentially — and long story short — took on a life of its own and this is the power of social media because a lot of my friends and supporters got out there and said: “This would be a great idea. It’d be great for the party,'” Clovis says. Since there was no GOP candidate for state treasurer on the Republican Primary ballot, delegates at Saturday’s Iowa Republican Party state convention will select a nominee for that slot on the General Election ballot. 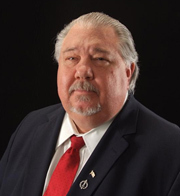 Clovis, who describes himself as a Christian conservative, says he hopes his candidacy would help unify the factions within the GOP. And Clovis says having active campaigns in all the statewide races will benefit the party’s effort to turn out voters in legislative races as well. Clovis ran a bare bones campaign for the U.S. Senate and finished second, ahead of a candidate who poured three million dollars of his own money into the race, only to wind up in third place. Clovis, who is on sabbatical from his job as a Morningside College economics professor, says he has the credentials for the job of state treasurer. Mike Fitzgerald, a Democrat, has served as state treasurer for nearly 32 years and plans to seek reelection. Another Republican has expressed interest in running for state treasurer. John Thompson, a former soldier and Harvard graduate who has a Facebook page for his campaign, was arrested at the Des Moines Airport last year after he was caught going through security with a gun and ammunition. Two years ago he was also accused in North Carolina of trying to have his ex-wife killed, but those charges were later dropped.